Today folks, it's all about joining binding. My process has evolved, and now it's down to such an easy process that I don't even think about it anymore! 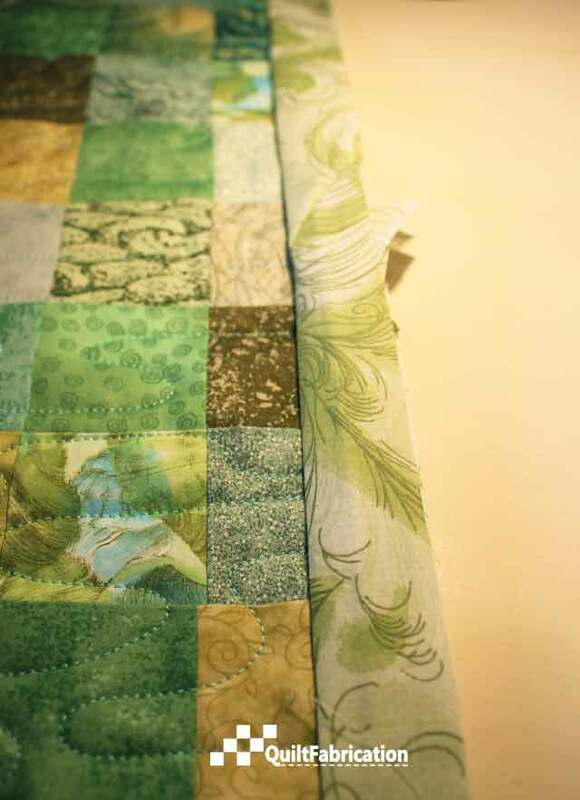 I used to be really confused about which piece went where, the angles, and which way to sew. 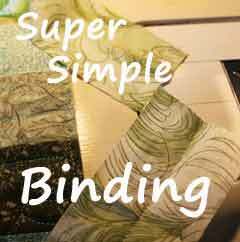 But with this super simple way to join binding, I just pin, sew, cut, overlap, sew, and finish. No confusion whatsoever. Want to see how? Then follow along! 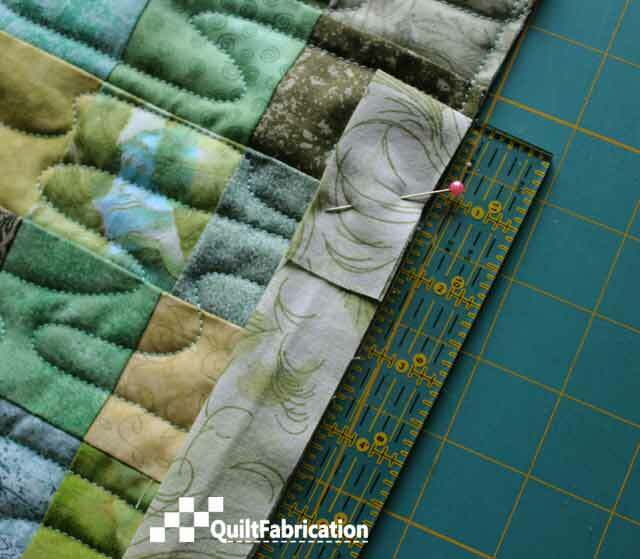 Prepare 2 1/2" binding strips, and fold down 2 1/2" at one end, pinning in place halfway down on the edge of the quilt. 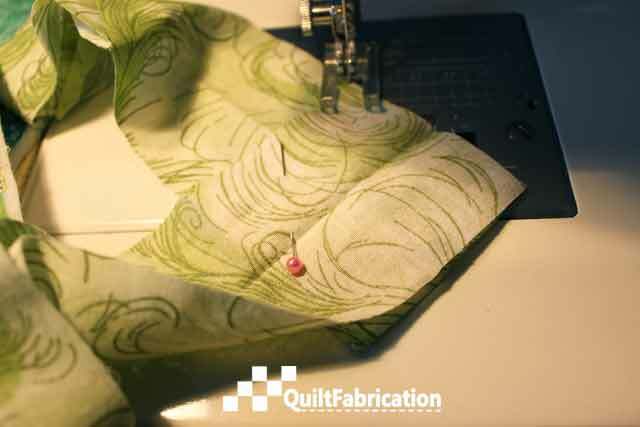 Start sewing the binding on approximately 6-8" below that fold. 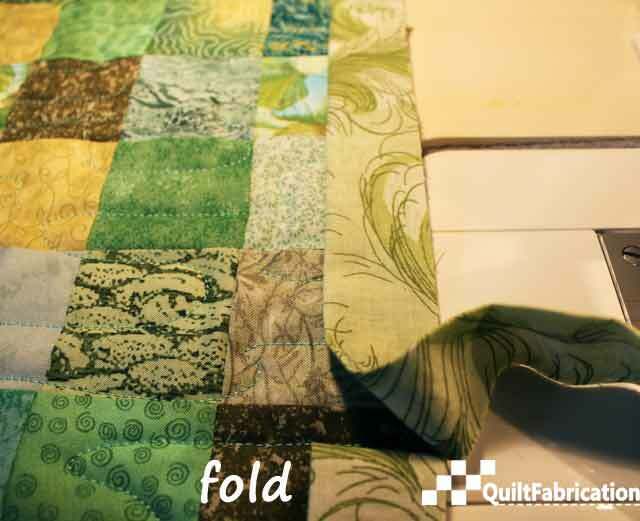 Stop sewing when there's 6" to 8" left before the starting fold. That fold is at the very bottom of the picture below. 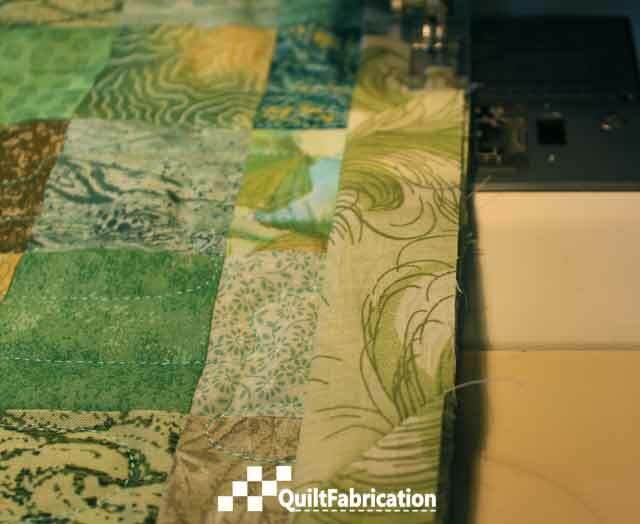 Remove the quilt from the machine, and smooth out the remaining binding toward the starting fold. 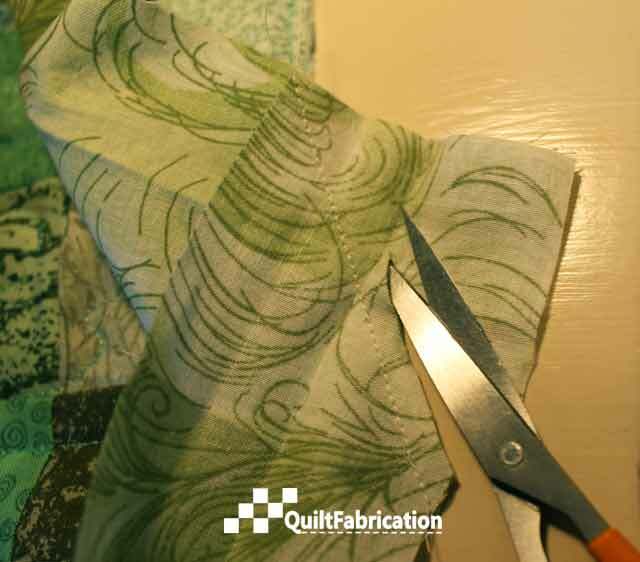 Cut the excess binding where it touches the starting fold. The cut is on the top piece in the picture below. Unpin, and unfold both pieces. 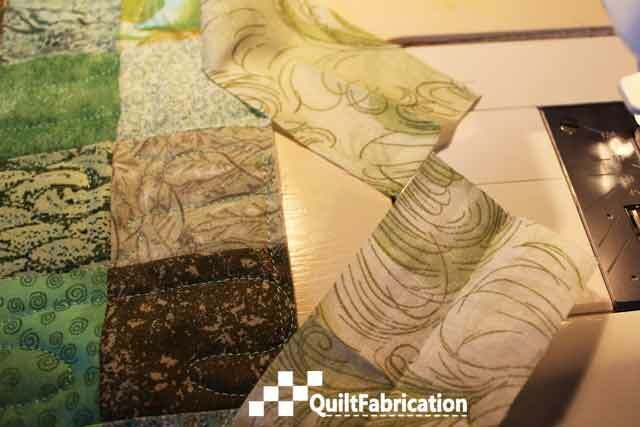 Overlap them, right sides together, just as you would to join binding strips. Pin in place. Stitch from corner on top to corner on bottom, but don't trim yet. 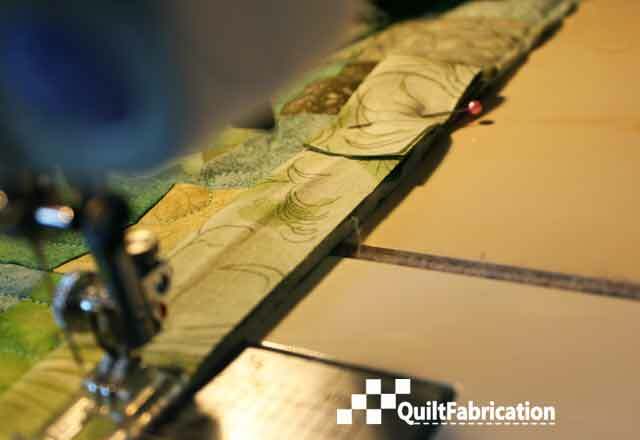 Lay the binding against the quilt top to double check length. and it's done. How fast and easy was that? No fuss, no muss! Give it a try the next time it's time to bind. Great tutorial, Susan! That is the simplest way I've seen a seamed binding finish. I'll link to it on my next Sew Thankful post. That's my favorite method too. 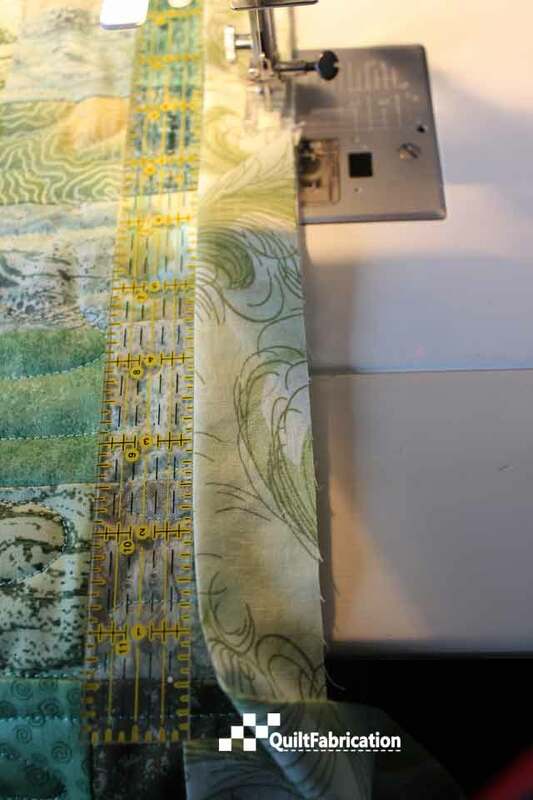 I sometimes wondered why my great grandmother wrapped her backing around for binding have decided she didn't know how to get the binding to meet. I've stored this in my tutorials file. 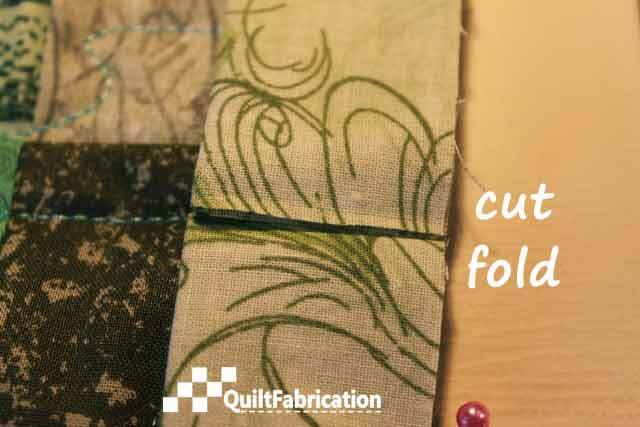 What seam allowance do you use? That's exactly the way I do it...Easy Peasy. Great tutorial BTW.